Time to dress to impress and put on those dancing shoes Tampa! 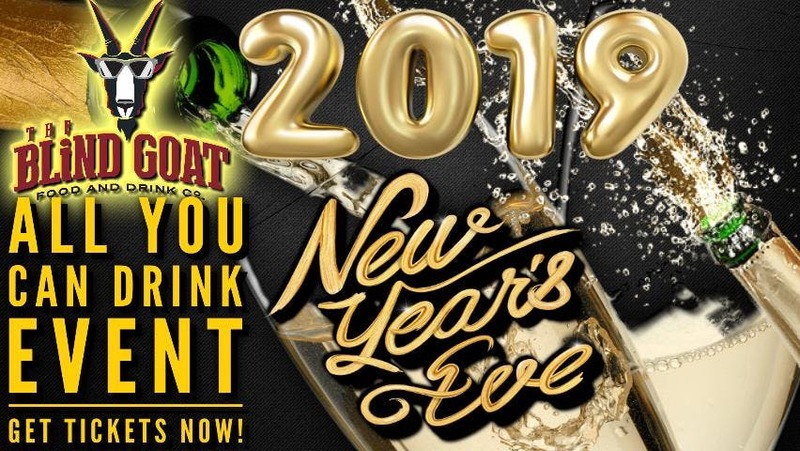 Join us at The Blind Goat for the best New Years Eve Party in South Tampa. OPEN BAR ALL NIGHT LONG! When we say open bar, we mean open bar. Treat yourself to any and all of the liquor, beer, and wine that we normally have available, including our top shelf selections! UNLIMITED DINNER! An endless supply of, appetizers, pizza, wings, and salads for your consumption running all the way until 11pm! CHAMPAGNE TOAST AT MIDNIGHT! What's a NYE party without free champagne? TVs WITH ALL THE NYE CELEBRATIONS! This is the absolute best value in Tampa for New Years Eve. You will not want to miss out! Tickets are very limited and will sell very quickly, so get them now before they are gone! Link to the ticket site is on this page!